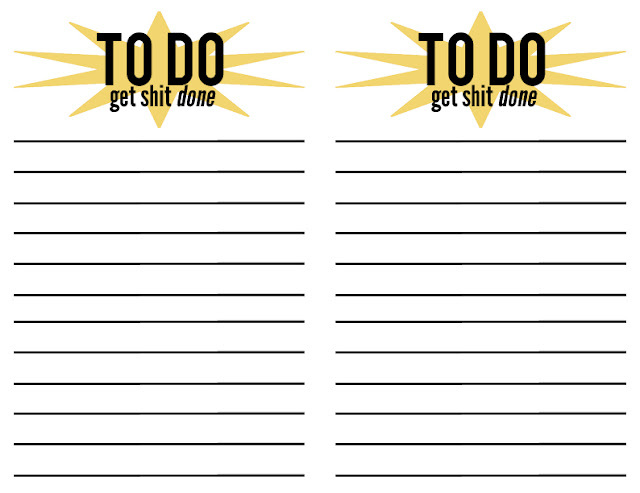 less is more: to do list printable. Because I've been trying to get my desk together and simultaneously do a million things with R while he's visiting, I feel like I am constantly thinking about what to do next, and it's getting overwhelming. I keep reaching for a to do list on my desk and realizing that I don't have one, so I thought that I would make a quick one in photoshop just to print out a few times, and it has ended up turning out pretty cool so I decided to share it. For free! Just click the image, save it to your computer, & print it out on 8.5" x 11" printer paper or card stock.